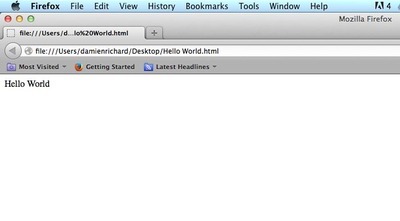 In this lesson you will learn how to make a simple HTML webpage that says “Hello World”. You will be introduced to your computer’s plain text editor and to HTML file extensions. If you want to learn how to make web pages, this is where to start. There are a lot of programs out there that will assist you in creating webpages like Text Wrangler and Abode Dreamweaver, and once you know how to code, I recommend checking some of them out. However, when you’re first learning, it’s best to keep it simple, so we are going to use the simple text editor that came with your computer. 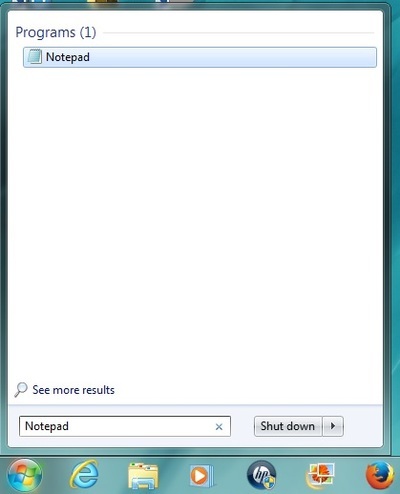 If you are using a Windows computer, then we will be using Notepad. To get to Notepad, click on the Start button and type Notepad, then hit enter. Notepad is the tool fo choice as you learn to code HTML, so you will want the program within easy reach. 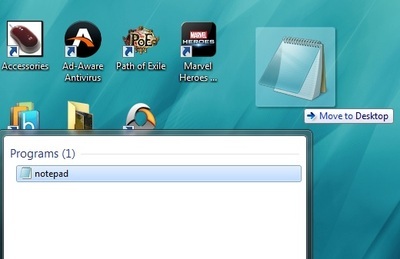 The best way to do that is to create a shortcut to Notepad on the desktop. You can do this by typing Notepad in the search box again, but instead of hitting enter, you will click and hold the mouse button on Notepad in the white box above the search and drag your mount onto your desktop. When you let go of the mouse button, a shortcut will be created. Now you’re ready to make your first, very simple webpage. Skip the For Mac section and go down to Making a Your First Page. If you are using a Mac, we will be using TextEdit. You can find TextEdit by clicking Finder in your dock, then Application on the left of the Finder window. 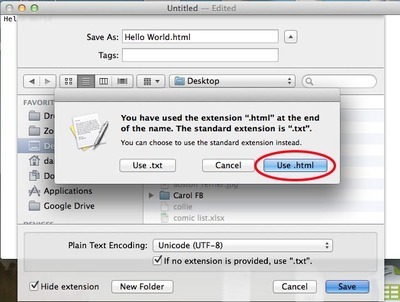 Double click TextEdit in the list to open the program. You will be using TextEdit a lot while learning to code, so you may want to add it to your dock by right-clicking the TextEdit icon in the dock, go to Options, then click Keep in Dock. 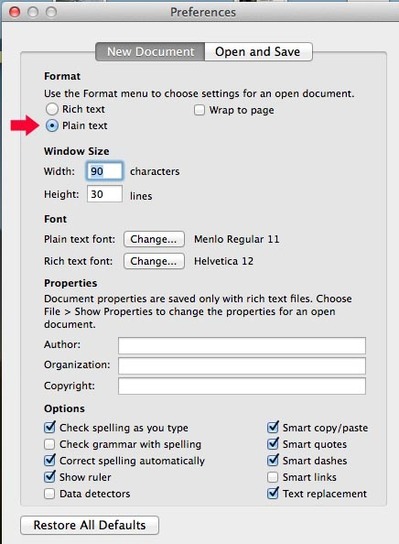 Next, we need to change a setting in the TextEdit program so that is saves files in plain text. 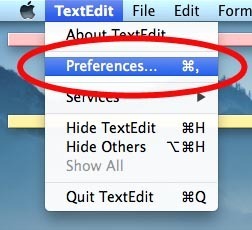 Click on TextEdit on the top left corner of your screen, then go to Preferences. Click the radial next to Plain Text and close the Preferences box by using the red X on the top right. Now you’re ready to make your first, very simple webpage. In your TextEdit or Notepad window type the words Hello World. Save the file by clicking on File in the top left corner, then save. Call the file Hello World.html and save it your desktop. Tip: Mac users will get a pop-up stating that the default extension is .txt, you will always want to click on use .html when making html pages. Go to your desktop and double-click the Hello World file. It should open in your default web browser. Here is what it will look like in Mozilla Firefox. You have now made your first website, you have learned what program to use while learning HTML and you’ve learned that HTML files use the file extension html.